The fourth annual Cloud Channel Summit on December 3 in San Diego was a tremendous success! If you missed the executive forum or would like to take another look at the terrific content from the event, you can now view the conference highlights, session recordings, and one-on-one speaker interviews online. Click here to view the highlight video and one-on-one speaker interviews with the industry executives from the leading Cloud providers and wide array of partner companies who participated in this year’s Summit. Click here to see the Summit keynote presentation and roundtable discussions regarding the key issues reshaping channel relationships in the Cloud marketplace. You can also click here to read my perspectives regarding the industry implications of the Cloud Channel Summit discussions in Sandhill.com. 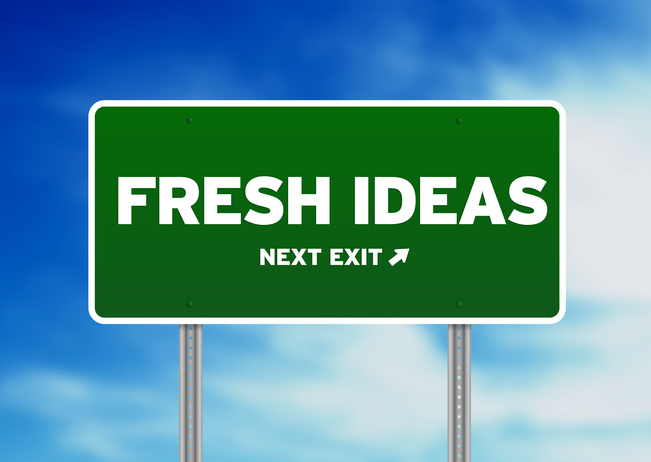 I’m currently formulating my plans for the Cloud Innovators Summits in 2015, and welcome your ideas and suggestions. One of the key factors determining the future growth of the cloud computing marketplace is the pace in which IT solutions companies — ranging from value-added resellers (VARs) to systems integrators (SIs) and managed service providers (MSPs) — transform their businesses to better support their customers’ cloud migration processes. Despite the promises that adopting cloud service alternatives is significantly easier than deploying traditional, on-premises hardware and software of the past, the truth is that the migration process is still complicated and fraught with pitfalls. Read THINKstrategies’ perspective in Sandhill.com about how IT solutions providers can help their customers migrate to the Cloud by moving their own businesses to the Cloud also. The agenda for the fourth annual Cloud Channel Summit, hosted by THINKstrategies and the Cloud Computing Showplace, on Wednesday, December 3 in San Diego has been filled with five additional industry executives. Only two days remain to obtain a complimentary pass to the executive forum, so register now! The sponsors and partners of the Cloud Channel Summit are offering a limited number of complimentary guest passes to the fourth annual executive forum focused on helping companies build successful partnerships in the Cloud on Wednesday, December 3 in San Diego. Seats are limited and only available online until next Wednesday November 26, so click here to register now! In addition, people who have registered to attend the NexGen Cloud Conference & Expo can obtain a guest pass to participate in the Cloud Channel Summit by using promo code NexGen when they register at https://www.eventbrite.com/e/2014-cloud-channel-summit-tickets-11983600271. THINKstrategies, the Cloud Showplace and The Channel Company are very pleased to be joining together to host the NexGen Cloud Conference & Expo and the Cloud Channel Summit at the San Diego Convention Center, December 3-5. Global Capacity is the latest company to become a sponsor of the the fourth annual Cloud Channel Summit, hosted by THINKstrategies and the Cloud Computing Showplace, on Wednesday, December 3 in San Diego. In addition, over 30 industry executives have agreed to present their perspectives regarding how to build successful partnerships in the Cloud marketplace. The latest to join the roster of speakers include senior channel executives from FICO, SAP and Samsung. The Summit is only two weeks away and seating is limited at the event, so register now to save your spot and use promo code CCS14 to save $100! Click here to see who’s already registered to attend the executive forum. While most people view Salesforce.com’s annual Dreamforce event as the largest user conference in the cloud industry, it is also the biggest gathering of cloud companies and their growing assortment of business partners. In many ways, Dreamforce is the best demonstration that the channel isn’t dead and actually is prospering in the cloud. Click here to read THINKstrategies’ perspectives in E-Commerce Times about why Salesforce.com’s successful partner ecosystem has broader market implications for the Cloud industry. You can also hear Salesforce.com’ SVP of ISVs and Channels, Ron Huddleston, talk about the company’s strategies for success at the fourth annual Cloud Channel Summit on Wednesday, December 3 in San Diego. Register now and save $100 on the admission fee by using promo code CCS14. A growing number of industry executives have agreed to speak at the fourth annual Cloud Channel Summit, hosted by THINKstrategies and the Cloud Computing Showplace, on Wednesday, December 3 in San Diego. Early Bird Discount rates for the executive forum will conclude this Saturday, November 15, so register now to save $100! The Cloud Channel Summit provides an intimate environment for industry executives to share their perspectives and best practices for building profitable partnerships in the Cloud marketplace. Click here to see what previous participants of the Summit say about the event. The Summit is being sponsored by Salesforce.com, Oracle, AppDirect, Avnet Technology Solutions, Corent Technology and INetU. THINKstrategies, the Cloud Showplace and The Channel Company are very pleased to be joining together to host the NexGen Cloud Conference & Expo and the Cloud Channel Summit at the San Diego Convention Center, December 3-5. Join key cloud channel players as they converge to forge partnerships and hone their business models at these events. The Cloud Channel Summit has been the ‘go to’ event for key executives from leading Cloud vendors and their channel partners to trade perspectives and showcase success stories since 2011. The Summit is a one-day, peer-to-peer, executive networking forum that brings together senior-level business development professionals from leading Cloud companies and solution providers to share industry best practices and innovative ideas for building profitable channel relationships in the rapidly evolving Cloud marketplace. Because of growing interest in the Cloud Channel Summit, hosted by THINKstrategies and the Cloud Computing Showplace, the ‘Call for Speakers’ has been extended and will conclude on Wednesday, November 5. Click here to submit your speaker proposal for the fourth annual executive forum on Wednesday, December 3 in San Diego. The fourth annual Summit will provide an intimate environment for industry executives to share their perspectives and best practices for building profitable partnerships in the Cloud marketplace. Click here to see what previous participants of the Summit say about the event. Key executives from 6fusion, Cloud Technology Partners, Ingram Micro, Pertino and Pivotal are among the most recent speakers added to the agenda for fourth annual Cloud Channel Summit hosted by THINKstrategies and the Cloud Computing Showplace on Wednesday, December 3 in San Diego. Register now to reserve you seat at the executive forum and save $100 off the current fees. The Summit will provide an intimate environment for industry executives to share their perspectives and best practices for building profitable partnerships in the Cloud marketplace. The Summit is being sponsored by Salesforce.com, Oracle, AppDirect, Avnet Technology Solutions, Corent Technology and INetU.